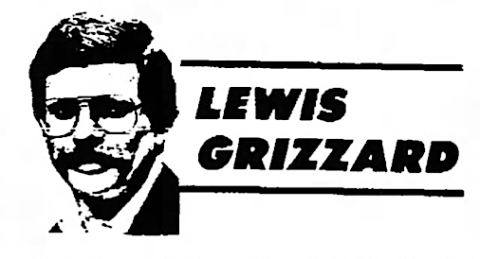 Lewis Grizzard wrote that he loved David Housel. He wrote he thought Auburn fans had class. Despite being a devout Georgia fan, he even wrote one of the finest columns on the Amazins you’ll ever read. 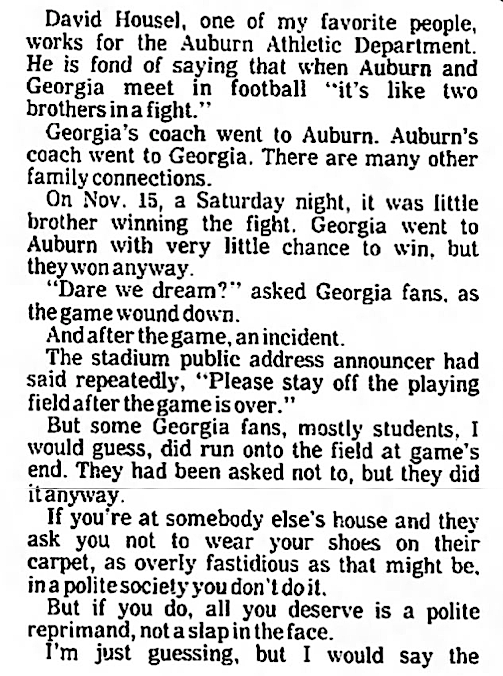 But he turned his typewriter on us after the 1986 Georgia game. 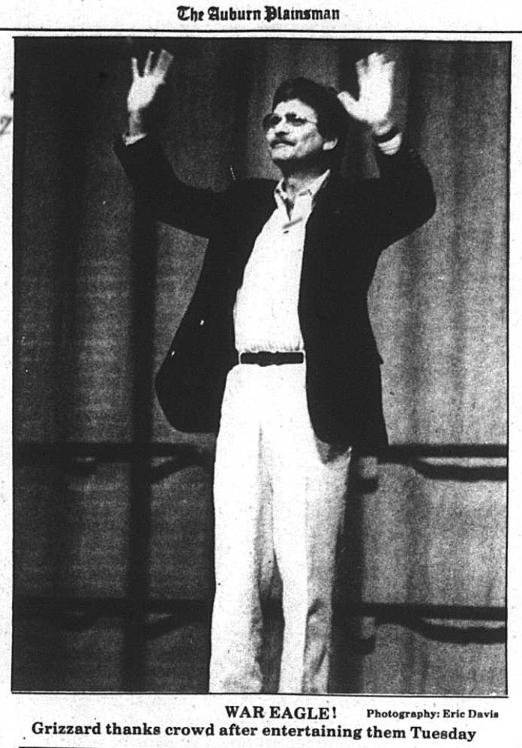 As fate would have it, the columnist was scheduled for a speaking appearance at Auburn the following January. He opened with a hoses joke. 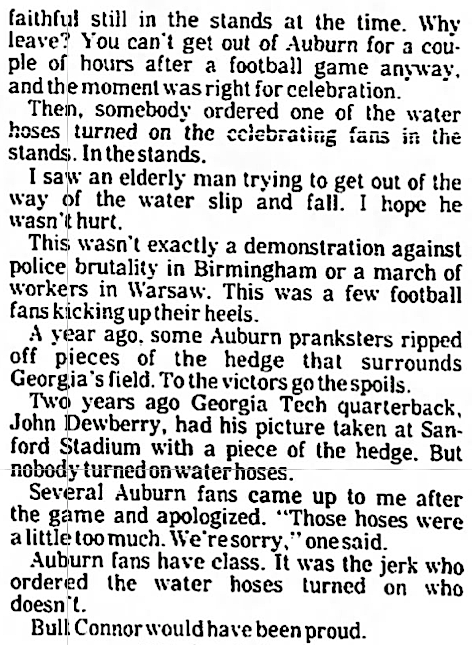 “Well, it’s not as wet as it was the last time I was here,” he told 4,400 folks in Beard-Eaves Memorial Coliseum before calling the Auburn-Georgia “one of the greatest examples of sociological progress” he’d ever seen. You know, because a black man was operating one of the water cannons. And most of the Georgia fans on the field were white. He also called Bama coach Bill Curry a pretty boy. 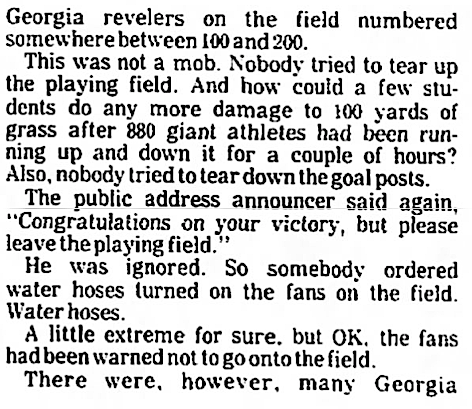 Related: Man who turned the hoses on Georgia fans in 1986 tells all. * The Deep South’s Miscounted Rivalry: Auburn’s 1899 win over Georgia was somehow erased from the record books.